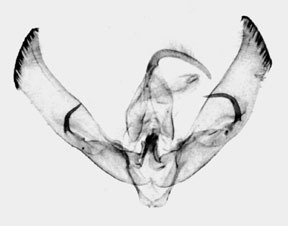 Cucullia charon Poole, 1995, Moths of America North of Mexico, 26.1:51, plate 1, fig. 35 adult, plate D, figs. 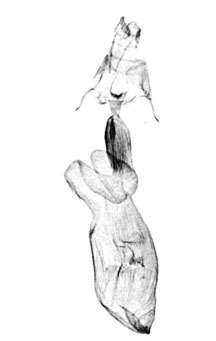 5,6 male genitalia, plate H, fig. 7 female genitalia. 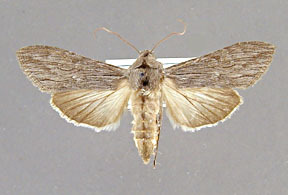 Diagnosis: Cucullia charon is one of the darker and smaller species of the speyeri group. The species is known from southwestern Texas and southern Arizona. Cucullia charon is most likely to be confused with laetifica, but the forewing is soft, dark gray and lacks the steel blue tint and the light patch in the forewing median area so often characteristic of laetifica. 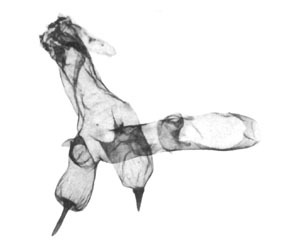 There do not appear to be any completely consistent differences between the male genitalia of laetifica and charon, although the left clasper of charon tends to be larger than in laetifica, often noticeably projecting past the costal margin of the valve. 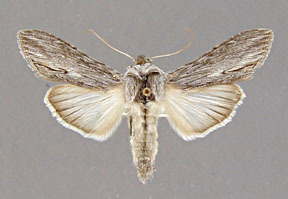 Cucullia charon is a smaller animal than styx. 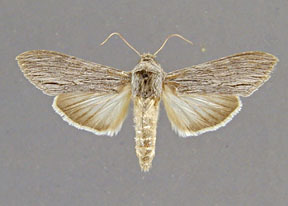 The male hindwing is white with a small dark brown outer margin, but the male hindwing is distinctly suffused with brown in styx. 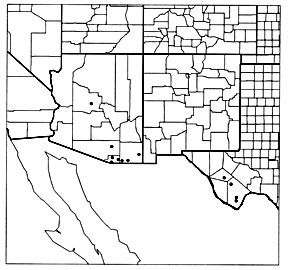 This species appears to overlap the range of eccissica in southern Arizona. The two species are superficially nearly identical. Cucullia charon tends to be slightly smaller and slightly darker than eccissica. The size difference is easily seen in side by side comparison of series of the two species, but is less obvious in isolated individuals of the two species. The size difference is most apparent in the male and female genitalia of the two species; eccissica is considerably larger than charon. The male genitalia must be examined for positive identification. There are two spines in the vesica of eccissica, three in charon. One specimen of charon from the type locality in western Texas has only two spines in the vesica; the upper arm of the basal diverticulum is slightly reduced in size and the spine absent. However the arm is present, not absent as in eccissica. In addition a small outpocketing of the basal diverticulum exists near the end of the dentate patch in charon (opposite the two arms) that is absent in eccissica. The vesica must be inflated to see these critical differences between charon and eccissica because the number of spines in the uninflated veisca is not totally reliable. There do not appear to be any consistent differences in the valves or their processes between these two species. 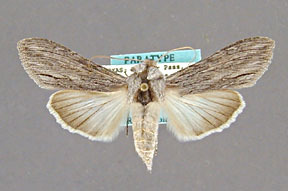 Specimens have been collected from March through August.